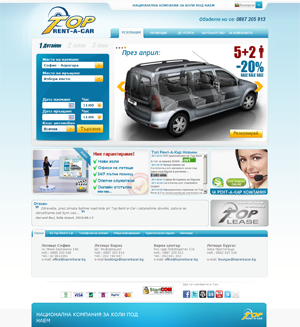 Top Rent A Car is with a new vision but it is still easy to access for the big number of customers it has. Changing the vision we are trying not to loose your interest, not to stop surprising you with fresh ideas and to keep searching for the most proper presentation eniournment. It have to be convenient for you-our customers.